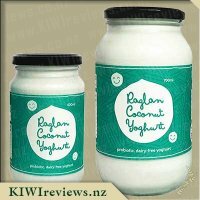 We usually always have a jar of Raglan Coconut yoghurt in our fridge as Miss 3 in particular LOVES it, and having intolerance with dairy I would rather give her this than dairy yoghurts. 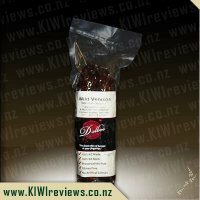 We were very excited when we got the chance to review the Blackcurrant and Heilala Vanilla flavour in the range as we had been wanting to try this for sometime but unfortunately have never been able to track it down. The first thing that both myself and Miss 3 noticed about this particular yoghurt was the striking purple colour, which really appealed to Miss 3 with purple being her favourite colour. Minutes after walking through the door she was begging me to try it, so this is what we did as it was perfect timing for afternoon tea! Unscrewing the lid I smelt the yoghurt and could most definitely smell the coconut which really overpowered the smell of the vanilla and the blackcurrant, however I could smell them both ever so slightly. We each had a taste of the yoghurt and both loved it, obviously the coconut was the strongest flavour by far, however the blackcurrant added a really nice fruity tang to the whole yoghurt eating experience, Miss 3 without being told what flavour it was said it "tastes like berry". The vanilla was there in taste but it was more of a subtle hint of flavour in amongst the fruit and coconut, very nice though and our favourite in the Coconut Yoghurt range! I was lucky to have received this yoghurt just in time to make a dessert to take along to a pot luck dinner we were attending, where I had decided to use this as a filling in a cheesecake, luckily the recipe only called for a cup of the yoghurt so there was still enough left to try in other ways! I mixed the yoghurt with a pottle of cream cheese and placed it in the biscuit crumb base, and then topped it off with fresh strawberries and a drizzle of white chocolate to create a white chocolate and berry cheesecake. Everybody was super excited to try the cheesecake and were intrigued to know what I had used in the filling as it was much creamier than usual and what I liked the most was that the addition of the coconut yoghurt really helped make the filling taste amazing, it wasn&apos;t as tart and overpowering as it would have been from just using cream cheese. 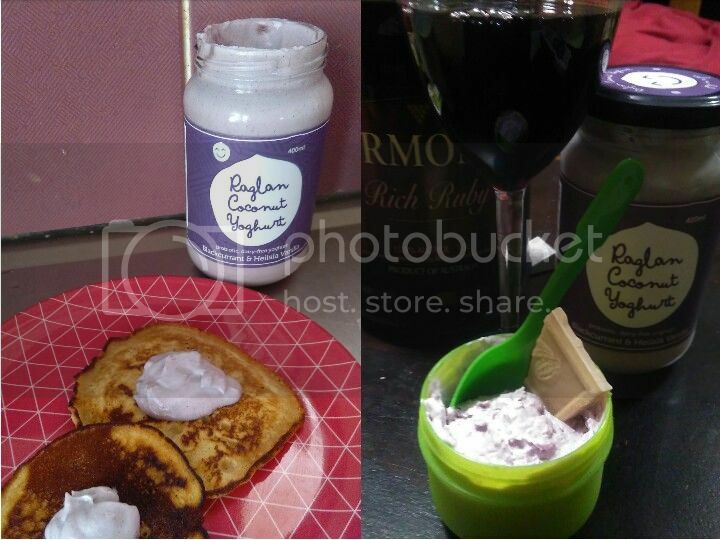 Everybody loved it and was asking for the recipe, some hadn&apos;t ever heard of coconut yoghurt but were looking forward to buying some after having tried the cheesecake. 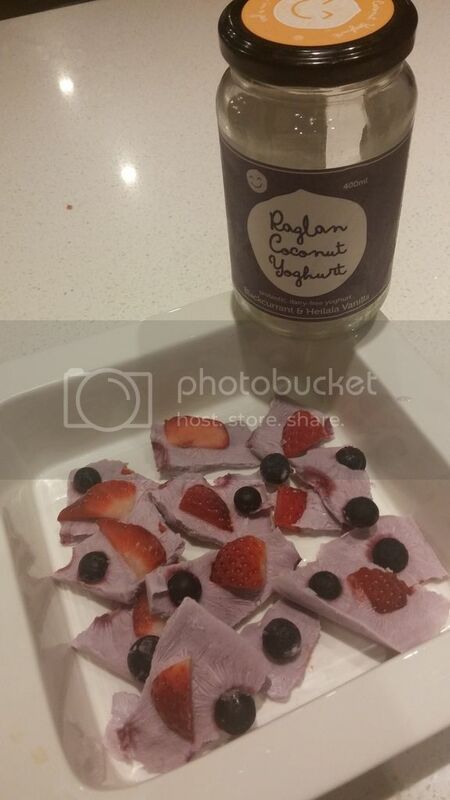 With the small remainder of yoghurt left in the jar I used it to make some frozen yoghurt bark, quick and easy but loved by my whole family especially my partner who is a huge fan of frozen yoghurt. I spread a thin layer of the yoghurt onto some tinfoil and then topped it off with some fresh berries and popped it into the freezer, once set I broke it into pieces ready to eat. This was a very tasty treat what would be great for on a hot summer day! I love that this yoghurt is so versatile and goes great frozen, added to other liquids and also as it is. Being full of probiotics and so allergy friendly catering to so many people out there it means it is suitable for so many people out there! 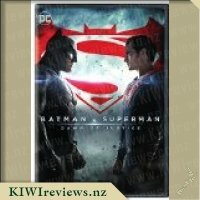 This is something we will without a doubt be purchasing again really soon, the price in my eyes is perfect and well worth it for the amazing product that it is! I can not believe how quickly this yoghurt has disappeared. I opened it on Sunday when we had some guests over. I told them they were reviewing some food items with me, and so I had these little brandy snap cups to hold the yoghurt. I put a dollop into each of the cups and gave them out. This one got the most positive reviews straight out of the gate. 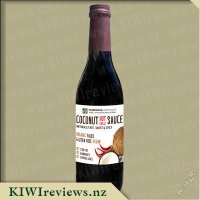 Now for me, the flavour of the coconut cream is quite strong in this one. But it&apos;s a competing flavour with the blackcurrant. Then you get that follow through flavour of the vanilla. 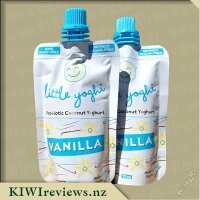 I&apos;m completely jazzed about this yoghurt in the first place because it&apos;s a collaboration with another cool kiwi company - Heilala Vanilla. Not everyone agreed with me that the coconut flavour stood out. In fact I had one person who couldn&apos;t believe there was coconut in it at all. When they read the ingredients, they couldn&apos;t believe that there was no dairy either. But there you go, it&apos;s a dairy-free yoghurt that tastes creamy and delicious. My kids thought it was nice as well. This was not too surprising because they both love blackcurrant as a flavour. 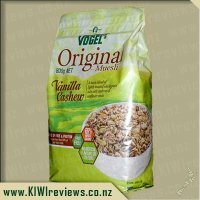 I have had this on my morning porridge and it was so good. The heat from the porridge posed no issues to the yoghurt at all. It did a great job of keeping it&apos;s creamy Greek style feel. I also had it on pancakes as an alternative topping to Maple Syrup. That was so good. Plus this goes well with a dark chocolate sauce too. It&apos;s no wonder that my jar is empty really. 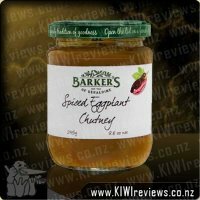 I could have happily sat and eaten this whole jar with a spoon without blinking. 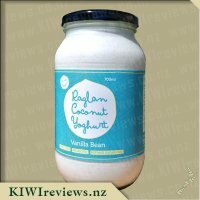 I think it&apos;s my all time favourite yoghurt from the team at Raglan Coconut Yoghurt. I can not wait to get my hands on more. This is the first time I have tried a non-dairy yoghurt (unless you count the half teaspoon "sample" I was given at a recent food show) and I really could not tell how it differed from a conventional milk-based yogurt! I have a mild allergy to some fresh milk products (although yoghurt is not one of them unless I eat more than a standard pottle in one go), so I would never have thought of buying a non-dairy alternative. 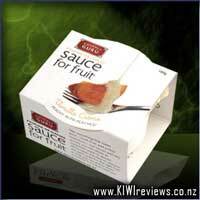 However, what did make this product stand out for me was the combination of flavours. When I first removed the lid, I followed my usual practice of sniffing the contents. The first impression was one of fresh blackcurrants, one of my favourite fruits. However, when I then tasted it, the coconut was the strongest flavour. The vanilla was quite subtle; I found the coconut and the fruit really overwhelmed it. However, the combination was pleasant: it was just sweet enough to be palatable without being overdone. Some fruit yoghurts are oversweetened; that is not the case with this product. I found the price quite high although I do understand that this is a specialist product and there are unavoidably higher overheads for items that are not mass produced. 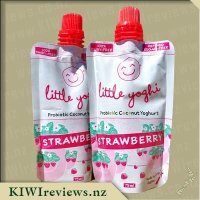 It is worth noting that the contents do not include any junk additives: it is also ideal for people with allergies or other dietary constraints who enjoy yoghurt but have to avoid dairy. Having eaten part of the jar&apos;s contents (ok, it was supposed to be just one teaspoonful, but it was rather a large spoon! ), I served a good-sized helping with a sliced banana and some home-made almond agar jelly. I guess that meant the combination was no longer nut-free, but it worked well. The jelly&apos;s sweetness was complemented by the fullness of the yoghurt flavours. The banana was almost lost in the explosion of tastes, but that was good because a stronger flavoured fruit might have taken over. 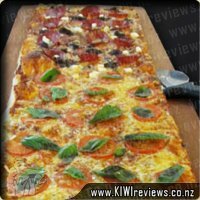 Next time I will try it with a little desiccated coconut on top. I would buy this product again for a special occasion, especially if I had visitors and needed a quick dessert item. I would imagine it would go well with any fruit, especially stewed apple or rhubarb, and would also serve it with breakfast cereal in place of my usual soy milk. No secret about what is on the menu for tomorrow&apos;s breakfast! So let&apos;s tell you a little about me; I&apos;m lactose intolerant, and allergic to cats, dogs, dust, nuts, trees, grasses, and even to my own sweat. I usually have to avoid dairy products, unless I want to spend my day with cramps and taking constant time consuming trips to the toilet. This makes things a little difficult for me when it comes to eating a balanced diet, as every time I try to get my weight down, I being told to eat lots of yoghurt and a handful of nuts, which I can&apos;t do. So a coconut yoghurt is actually very appealing to me. 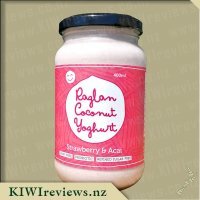 When I first heard of Raglan Coconut Yoghurt, I assumed that it was just a normal yoghurt, that was coconut flavoured, and thought nothing further about the product. but now I realise that the yoghurt is made from the coconut as a substitute to the usual dairy composition. 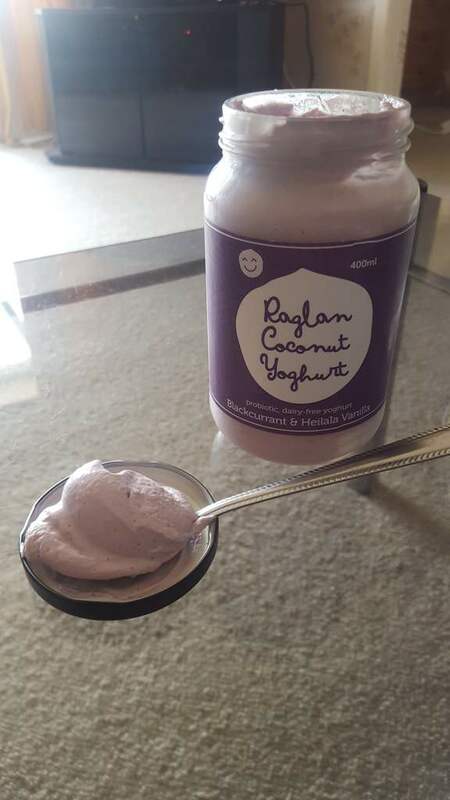 Even the list of ingredients is more recognisable than what you get on a tub of "normal youghurt (coconut cream, blackcurrant puree, pineapple juice, organic raw honey, vanilla bean). The product sounds like it could be perfect in every conceivable way. The flavour has several layers. It has that initial burst of flavour and with the sweetness and acifity of the blackcurrant and pineapple, but this first hit is quickly subdued by a fuller, more mellow wave of vanilla. The flavour doesn&apos;t last in the mouth too long after it&apos;s gone, but the fruity scent and aroma does stick around for a while longer. 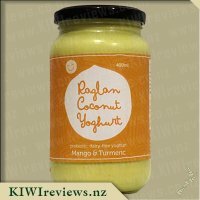 With regards to consistency, this product has less of a thick viscous yoghurt texture, and is much more of a moist, but very finely granulated texture, much like that of a light mousse desert. The colour is a nice simple purple, dappled and dotted with darker spots. The product packaging is great too. While it does not have the serving control that individual tubs of yoghurt has, it does come in a glass jar, which in my eyes are far better for the environment recycling-wise, and can easily be reused for anything else that I may need a jar for. I do have to admit that the price is on the steep side for a yoghurt. 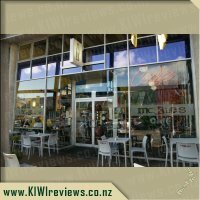 But for a very tasty yoghurt that caters to all those people that want organic products, or are allergic to nuts, gluten, and soy, intolerant to dairy and lactose, even being kosher and paleo. It&apos;s well worth the money. 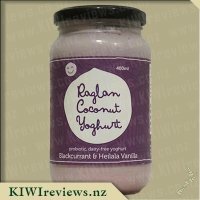 I&apos;ve seen the original Raglan Coconut yoghurt come up for review before but I&apos;ve always missed out due to them being too far away for posting to me, however this time, luck was on my side and I managed to get a jar to review!!! My first impression of this is that it is such a beautiful colour, a lovely bold purple, almost too pretty to eat, but I popped open the lid and took a tentative taste. 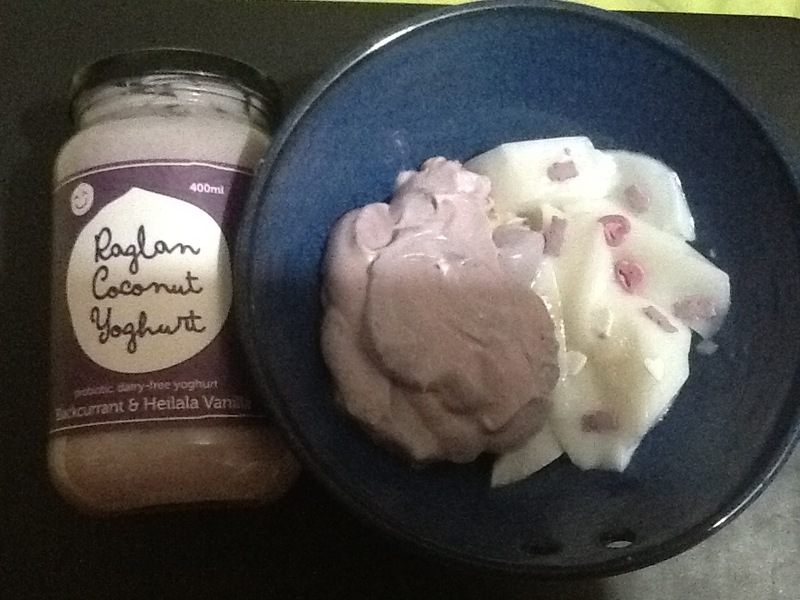 The coconut certainly takes centre stage in this yoghurt, it would be impossible to miss its flavour, I found that the vanilla then took second place and the blackcurrant third, going by how strong the flavours were, but they worked well together. I did find that this was a very rich dish though, so I couldn&apos;t eat more than a couple of teaspoons at a time, my mum tried some as well and found that she too, wouldn&apos;t be able to handle more than a couple of teaspoons at a time. I decided I would have to try it in a couple of different ways, other than just eating it straight from the jar, and having pikelets with the kids provided the perfect opportunity. I put half a teaspoon of the yoghurt on half the pancakes and golden syrup on the other half. The kids agreed that it tasted nice with the yoghurt but only one wanted more. I felt that it wasn&apos;t anything more special than golden syrup. I then put half a cup in a little container and stirred through some Ruby Red and let it freeze up. I ended up with a nice, soft, ice-cream, though the yoghurt overpowered the ruby red, there was a tiny hint, and it did taste nice frozen. 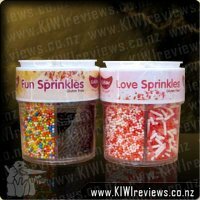 I would only get this flavour in summer so as to make some small frozen treats.